PTIC cows sold to a top of $1580 this week for this line of 56 Angus cows from Murrumbateman, NSW. The six year old cows were PTIC to Angus bulls and are on their way to Holbrook, NSW. WITH the recent turnaround in the cattle market, listings rose dramatically on AuctionsPlus this week, up 8739 head on the previous week to total 15,466 head offered. 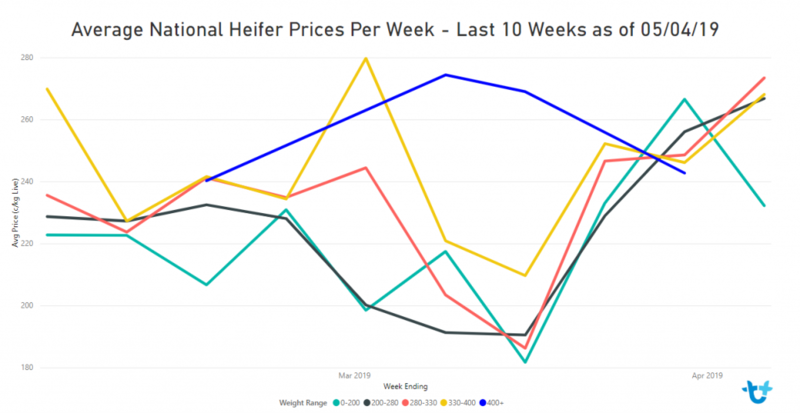 Young steer and most heifer categories rose further in price, building on big jumps seen the previous week. Most listings came out of NSW, which made up about 65pc of the catalogue. With no clear evidence of which way the season in NSW will go in the coming months, uncertainty remains, reflected in lower clearance rates. Joined and PTIC female numbers totalled 2380 head this week. PTIC heifers averaged $933, with a top price of $1000 for a line of 105 Santa heifers 16-21 months and PTIC to Santa bulls, from Wallumbilla, QLD. The heifers are heading to Quilpie district in far wstern Queensland which has received some good March rain. PTIC cows sold from $1050 to $1580 this week, to average $1232. Top price went to 56 Angus cows from Murrumbateman, NSW. The six year old cows are PTIC to Angus bulls and are on their way to Holbrook, NSW. Cow and calf units were in short supply, with only 701 head offered. Prices ranged from $1240 to $1890, averaging $1546, and achieving a 50pc clearance. Top price went to 58 PTIC Angus cows & calves from Bairnsdale, VIC. The cows are five years old averaging 682kg with 5-7 month old calves at foot. This week’s Weaner & Yearling sale listed 10,083 head, doubling last week’s offering. 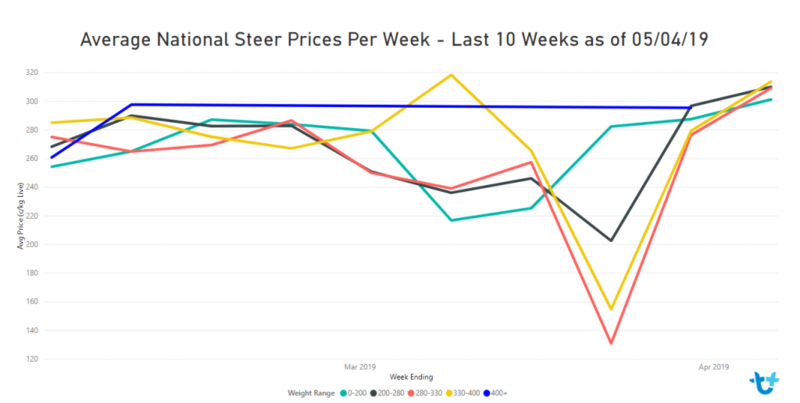 Weaner steers averaged 312c, up 17c on last week, with a top of 388c for a line of 7-9 month old weaned Poll Herefords steers from Redpa, NSW. The steers averaged 312 kg and are remaining in Tasmania. Weaner heifers averaged 267c with a high of 316c, up 7c on last week. Top price went to 21 Angus heifer vealers from Crookwell, NSW, 7-8 months old averaging 282kg and destined for a buyer in Coolah, NSW. Yearling and grown steers averaged 298c with a top of 323c, up 19c on last week. 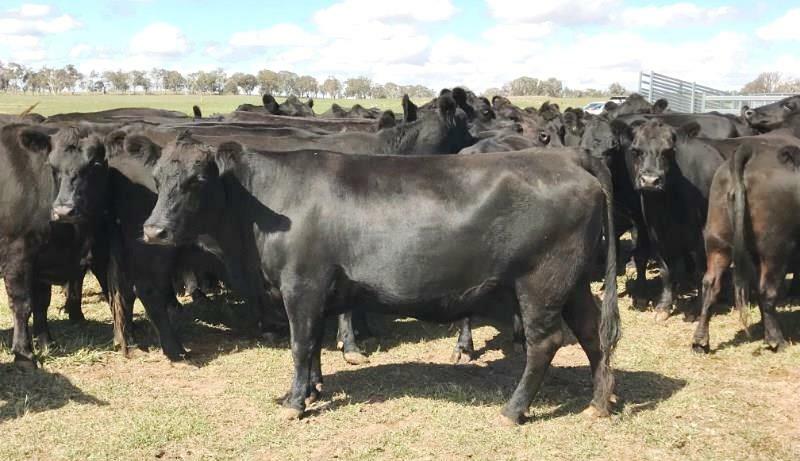 Top price went to 105 Angus feeder steers from Grong Grong, NSW, 12-15 months averaging 335kg, and heading to Coolah, NSW. Yearling and grown heifers averaged 260c with a high of 278c, up 17c on last week. Top price went to a line of Angus x Hereford weaned heifers from Flinders Island, Tasmania. The region continues to exemplify strong prices, with this lot of 12-13 month old heifers averaging 342kg finding a buyer in Tasmania.